Primal Fear is a band that would dearly love to be Judas Priest. From the Hellion-style robotic birds on their album covers to the leather garb of the members and the shrieking vocals of Ralf Scheepers, everything about these Germans screams of their desire to follow in the footsteps of the immortal British metal band. This is certainly not a bad thing. They know what they are doing and they come up with some storming power metal that matches up with their idols pretty well. In fact, Scheepers was a runner-up only to Ripper Owens in the quest to replace Rob Halford in Priest. Ripper got the job but it doesn't take too much imagination to hear Ralf in his place. This guy can soar with the best of them. 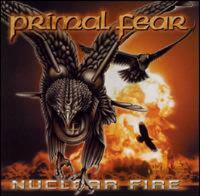 If you understand that Primal Fear is not an original band in the least, you'll enjoy "Nuclear Fire". It follows clearly in the tradition of the first 2 PF albums without much deviation. Once in a while, some songwriting problems become glaringly obvious but spirit, energy and a real clear and crunchy production boost this band to the front rank of modern power metal. I prefer them to Hammerfall any day. After a sound effects intro, the band starts with this track and already the Priest comparisons are in overdrive,as this definitely has that "Screaming for Vengeance" sound to it. I felt this one was a little too typical sounding and I instead would have led off with "Kiss of Death". Another aggressive cut, this has a more majestic, measured approach. It is good, classy power metal. Scheepers' vocals are excellent. The album's best cut, this one thrashes out with a very full-blooded speed metal attack. 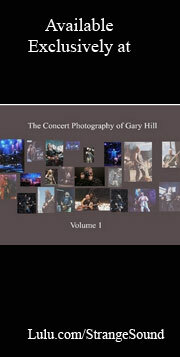 It features a great chorus and must kill live! Another winner in the original song title sweepstakes, this is a more mid-paced cut with overtones of Primal Fear's fellow German metallers Accept. It drags on a bit too long. An a ggressive, up-tempo cut,this is pleasing but not anything that will knock your socks off. Scheepers' lends his strong lungpower to another catchy chorus, a trademark of this band. A heavy but fairly plodding cut, this is nothing special. It's beyond me why bands whose bread-and-butter is aggressive metal feel the need to do these soppy ballads. This is beyond typical,in the mold of the metal ballads on the previous Primal Fear albums. It's filler material. The title track starts with a melodic, majestic riff that reminds me a lot of Hammerfall. Then it quickens into a brisk speed metal number. 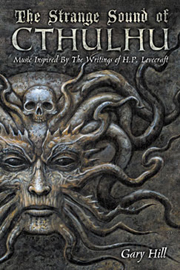 It features one of those elaborate Germanic choruses that seem to be a trademark of German bands like Helloween and Iron Savior. This is one of the record's better cuts. A catchy power metal song that has a way of embedding itself in your brain, instead of sounding like Judas Priest or Helloween, this is actually a song that sounds like Primal Fear. Believe it or not, this song was not listed on the record! I believe the title may be something like "An Iron Fist in a Velvet Glove" or something to that effect. It's possibly a cover tune. It is much more melodic than the other material, though not a ballad. It doesn't really sound like the rest of the material here. The riffing here is really familiar, but again, Scheepers' awesome shrieking and a catchy chorus save the track. It is hard to forget the high-pitched vocalizing on this one. The album ends with this anthem. The Halfordesque scream that starts this will bring a smile to every Priest fan's face. If they gave awards for most cliches in the lyrics, this would blow everyone else off the planet, but what a great anthem! It is just pure power metal in the mode of the best Priest. This has to be awesome live.